The Board of Higher Education and Campus Ministry is committed to providing quality educational opportunities for higher learning. They offer scholarship opportunities through the conference and oversee campus ministries. National scholarships and loans are available to members of the United Methodist Church. For information and application forms for other United Methodist scholarships and loans please visit the General Board of Higher Education at www.gbhem.org. 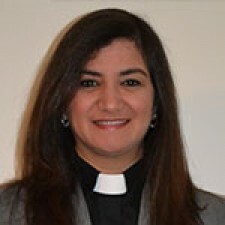 Iraida Ruiz de Porras has been appointed the full-time senior pastor at Christ UMC in Lakewood. Iraida Ruiz de Porras is currently serving at First UMC in Hasbrouck Heights and “Nuevo Nacimiento” in Paterson. She is also on various committees/boards: GBHEM, COSROW, Palisades DCOM, and Theological School Alumni Association Executive Board. She has a business degree from the University of Puerto Rico, Mayaguez, and an MDiv from Drew Theological School with awards such as the Henry L. Lambdin Prize for Excellence in Pastoral Leadership. She has deep passion for ministry and is privileged to see God at work in the lives of those she serves. Her daughter Alexandra and husband Kevin journey along with her in ministry. Christ Church is located in an urban setting expecting continued population growth in the next decade. The congregation is multi-cultural and bilingual with 30 percent of the congregation speaking Spanish. Worship services are uniquely traditional following the Word and Table pattern. There are combined English and Spanish services. Committees have representation from each language group. Christ Church also has a van ministry. The church has active United Methodist Women’s and United Methodist Men’s groups, a food pantry, participates in the Interfaith Hospitality Network, hosts Hurricane Sandy relief groups at a home on Lapsley Lane and sends a work team to Red Bird Mission annually. Christ Church has Sunday Schools and ongoing Bible study groups in Spanish and English.